The city of Hull had the distinction of being the largest city in Europe never to have had a top flight football team. This was largely down to the popularity of Rugby League in the city, however, after moving to a brand new stadium, and great investment in the club, they gained promotion to the English Premier League in 2008. Hull City Online http://www.hullcityonline.com	The original independent Tigers site. Includes section with graphics of every Hull City home kit through time. 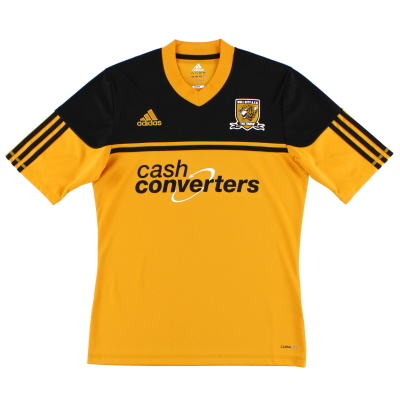 Hull City Kits http://hullcitykits.co.uk/	Site devoted to Hull City kits with reviews, articles and kit tracking.